Six other banks are robbed in Wollega, West Oromo region of Ethiopia, yesterday. And that makes the number of banks robbed in the region, within just two days, to seventeen, according to a report by Deutsche Welle (DW) Amharic Service. Tamene Hailu, head of Qellem Wollega Administrative zone, told DW Amharic service that six private and government owned banks were robbed yesterday since 11 a.m. local time in Hawa Gelan, Erob Gebeya, Mechara, Sedi Chinka towns in the region. He added that armed men took unspecified amount of money and that there are concerns that employees of the bank are abducted. The amount of money is not known because employees with information about it are taken hostage by the armed groups. Oromia United Bank and Commercial Bank of Ethiopia branches were the targets of armed robbery which is carried out by groups with political affiliation to the militant OLF faction. 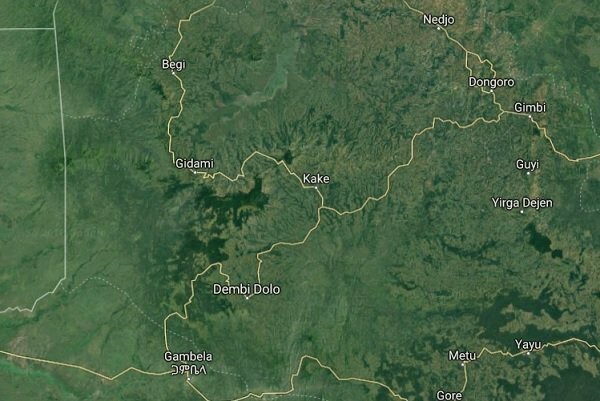 In addition to the robbery, the gunmen, and the robbers themselves have claimed to be Oromo Liberation Front (OLF) fighters this week, destroyed two government offices according to Tamene Hailu who is cited by DW Amharic. Government has deployed Defense Force to the region with the aim to restore order in the region. The Ethiopian Air Force launched an air strike yesterday in the region reportedly targeting military training facilities the rebels are running. Tamene Hailu has confirmed to DW Amharic that Defense Force used helicopter aided attack against the group. The militant faction of Oromo Liberation Front under Dawud Ibsa, with its office in the capital Addis Ababa, has been exchanging allegations with the government over an alleged failure to implement agreement signed in Asmara. Ethiopian government insisted that the opposition group need to disarm and operate peacefully in the country just like other opposition groups. 3 Responses to "17 banks robbed within two days in Oromo region of Ethiopia"
Ahi echi yeteregemech Hager. Yemayalfelat. Sentu new netsa awechiweya….